1. How can I prove my Estonian citizenship status when I was born in the United States and am only aware of the fact that my grandparents once lived in Estonia? 2. What should I do in order to request a certified extract of family history records or an archival document? 3. Can I submit my application for an Estonian citizen´s passport, if I have received my documents through the Consulate General, which proves my citizenship status? 4. When before the expiration should I apply for a renewal of my Estonian citizen´s passport/ID card ? 5. How fast should I replace my Estonian citizen´s passport, when my personal data such as my last name has changed? 6. I do not live in New York. Am I able to apply for the Estonian citizen´s passport/ID-card at the Consulate General? 7. What are the requirements for a photo in the Estonian citizen´s passport/ID-card? 8. Can I bring the application of the Estonian citizen´s passport to the Consulate General at any time? 9. What is a one-year Estonian citizen´s passport? 10. I have to travel frequently due to my job. Can I get two Estonian citizen´s passports? 11. Is it possible to request an expedited service for my Estonian citizen´s passport at the Consulate General? 12. Why is it required to submit the other parent´s permission when I apply for a child´s Estonian citizen´s passport? 13. If a child is travelling with his/her grandmother, is it necessary to provide permission (letter of consent) from the parents? 14. The relationship with my child´s father is over, I want to return to Estonia with my child. Do I need to inform the child´s father about my plans? 15. When can I apply for a temporary travel document? 16. What is the population register? 17. Is it mandatory to register my place of residence at the Consulate General? 18. What happens with my real estate property in Estonia, if I change my place of residence in the Estonian population register? 19. I am an Estonian citizen at retirement age, living permanently in the United States. Is my earned national pension transferred to my United States bank account? 20. Do I need to inform the Consulate General about my marriage, divorce, birth of my child or any other relevant family occasions? 21. 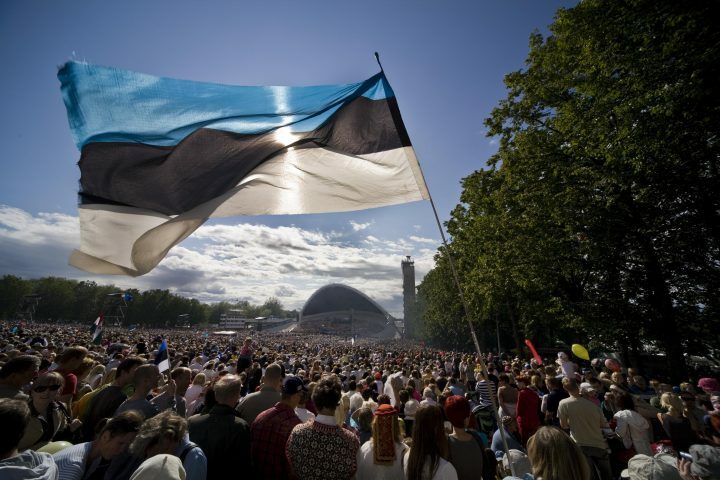 How can I search my own personal data from the Estonian population register? 22. I need to order a birth/marriage/divorce certificate in English in order to renew my green card. All the occasions have occurred in Estonia. What should I do? 23. Is it possible to renew my Estonian driving license at the Consulate General? 24. What should I do if my driving license is lost or stolen? 25. I need a certificate in English as a proof of having a driver’s licence in Estonia. Estonian Road Administration issues only certificates in Estonian. Do I receive help from the Consulate General? 26. My employer asks me to provide a police clearance certificate of good conduct. How can I get it? 27. I need to provide the authenticity of my signature on the contract of issuing Estonian Bank debit card. Can I do it at the Consulate General? 28. Is it possible to pay for the services in euros at the Consulate General? 1. How can I prove my Estonian citizenship status, when I was born in the United States and am only aware of the fact that my grandparents once lived in Estonia? You need to request an archival document from Estonia. Proceedings: archival notice, archival extract or a certified copy issued by the National Archives. The main proof of citizenship is usually an extract of family history records.Estonia started to compose family history records in 1930s for each individual living in Estonia during that period of time. The family history records were prepared by the local government officials of a parish or a town where the person lived. The records are archived in books sorted by the municipality with one page for each person. The page includes personal information such as the date of birth, place of birth, parents, spouse, place of marriage and children. Information was recorded until 1944, some places even longer. During that period of time, they also recorded minutes of changes in personal data (death, birth of a child, marriage, divorce, name changes). Family history records are held in County Government Archives, where they preserve most of the biographical data since July 1, 1926. Biographical data and documents about family related occasions before July 1, 1926. Another option is to get information about your ancestors from the Estonian National Archives (for example, if you already know that the family had departed from Estonia by 1926). In the National Archives, they conduct research based on different aspects such as belonging to defense forces, possession of land, holding a foreign passport etc. There is a higher possibility to obtain a desired outcome from the research if the research is done under a male ancestor name. Certainly, you need to provide as much information as possible. For example, the extracts of church records about baptism in Tallinn and North-Estonia are issued by the Tallinn City Archives; the extract of church records about baptism in South-Estonia region can be found in the Tartu Historical Archives. The birth certificate alone is not enough to prove Estonian citizenship. For example, if you requests a birth certificate of a person born before 1926, you must clarify the purpose of the requested document – it is not essential to request a birth certificate to prove one’s citizenship status, rather the family history records or a proof of citizenship from the National Archives of Estonia. You can request it in the Consulate. To find information on how to request an archival notice, archival extract or certified copy issued by the National Archives, look here. 3. Can I submit my application for an Estonian citizen´s passport when I have received documents which prove my citizenship status through the Consulate General? Yes. First time applicants please read carefully and follow the instructions here. The process of issuing a new passport/ID-card may take up to 6 weeks. We strongly advise you to apply for a renewal at least 2 months before the current passport expires. Some countries require a passport to be valid for at least 6 months after completing the trip, which means you may need to apply for your new passport even earlier. You can start the application when your current passport is valid for more than a year. 5. How fast should I replace my Estonian citizen´s passport, when my personal data (such as my last name) has changed? You should apply for a new passport as soon as possible. If your family name has changed due to marriage, it is required to provide a marriage certificate with an Apostille. Find out more about the Apostille in the United States from here. 6. I do not live in New York. Where else can I apply for an Estonian citizen´s passport in the United States? If less than 5 years have passed since you applied for a previous passport and gave fingerprints, you can apply for a new passport by post or by e-mail. In the United States you can submit your application at the Estonian Embassy in Washington D.C, at the Consulate General in New York and during temporary consular missions organized by the Consulate General. For more information, please follow the link here. Honorary Consuls are only ISSUING passports and ID-cards. It must be possible to identify a person on the basis of a photo univocally. with eyes open and look has to be directed towards camera lens. It has to be a colour photo, by size of 40 x 50 mm. Area between chin and top of head must form 70-80% of the vertical height of the photo. Glasses are allowed, if eyes are not covered by spectacle frames and there are no “gleams of light” from reflection of glasses. Photo has to be taken within 6 months before submitting an application. Hair may not cover face nor cause shades on face. Photo may not have fingerprints, scratches or any other defects on it. Colour gamma of the photo must have natural specter (may not be overexposed nor underexposed). Background of the photo must be flat, mono-colour, of bright colour (commendatory colours are light blue, beige, light brown, light grey or white) and in contrast with colour of face and hair. Red-eye effect on the photo is not allowed are also its removal by means of the software is forbidden. There are photo studios next to the Consulate General, where the photographer is aware of Estonian passport requirements. For example, Thispix: 805 3rd Avenue (49/50 St). 8. Can I bring my Estonian citizen´s passport application to the Consulate General at any time? In order to submit your application, it is necessary to make an appointment in advance online. or where it is un-proportionally burdensome for you to visit a representation of the Republic of Estonia. You can apply for one year passport ONLY by post or by e-mail. Please find more information here. An additional passport is issued only as an exception. In order to request the additional passport, you have to submit a letter explaining the need for additional passport or another document proving the need (for example, employer’s certification). The additional passport is valid as long as the original one. 11. Is it possible to request an expedited procedure of my Estonian citizen´s passport at the Consulate General? No. The expedited procedure of a passport is only available at the Police and Border Guard Board Offices in Estonia. Please keep in mind that if you have not been issued an Estonian identity document before, it is not possible to apply for an expedited passport service. If both parents have a legal right of the custody of a minor, then both of them have to be aware of the passport application. Therefore it is necessary to provide permission of both parents. If only one parent has the child´s custody right, then there is no need to provide permission of other parent. 13. If a child is traveling with his/her grandmother, is it necessary to provide a permission (letter of consent) from the parents? For individuals, who are traveling with a minor child and are not his/her parents, it is required to prepare a letter of consent from both parents. The letter of consent can be in a free format and needs to include personal information of guardians (first name, last name, date of birth, the passport/ID-card number). It is strongly recommended to attach copies of parents’ passports or ID-cards to the letter. In case a child travels with one parent, it is also necessary to have other parent´s permission. If the parent who travels with a child has a different last name than the child, it is recommended to take the child´s birth certificate along to avoid any misunderstandings at the border. An example of the letter of consent. 14. The relationship with my child´s father is over and I´m willing to return to Estonia with my child. Do I need to inform the child´s father about my plans? Yes, you must inform the father of the child. In order to leave the US, you need to ask for a written permission from the father. In case a problem has emerged regarding the custody of the child, you have to settle it in the court. Leaving the country with a child without the father´s permission is considered a child abduction. An Estonian citizen or an alien may request the issuance of a certificate of return (CoR) or a permit of return (PoR) to Estonia from any consular post. CoR shall be issued to an Estonian citizen staying in a foreign state whose travel document becomes unusable or is destroyed or lost while travelling in a foreign state. PoR shall be issued to an alien whose alien´s passport, temporary travel document or travel document for refugee becomes unusable or is destroyed or lost when he or she is in a foreign state. Both documents are issued to enable him/her to return to Estonia, which means that the person should not continue his/her touring or travelling abroad. In case of an emergency during out of office hours, please contact the Estonian Foreign Ministry officer by phone +372 6377 000 or +372 53 01 9999 (24h). 16. What is the Estonian population register? According to the Population Register Act it is a database of personal information of Estonian citizens and foreigners, who hold Estonian residence permits. Data of the population register is used for registrations of birth, marriage, death and change of residence address, also for organizing elections and referendums, as well as part of daily work assignments at police, health insurance fund, notary, and judicial court. Yes, based on the Consular Act it is mandatory to keep the information of your place of residence up to date in the population register. If you live in the United States more than 183 days a year you have the obligation to update your place of residence with your United States address. In order to do so, please fill out the permanent address registration form for an Estonian citizen in a foreign country and send it digitally signed or signed on paper, together with your Estonian citizen´s passport /ID-card copy, scanned by email to: nyconsulate@mfa.eeor by post. You are not obligated to change your address only in case you are staying in United States temporarily for the purpose of study. 18. What happens with my real estate property in Estonia if I change my place of residence in the Estonian population register? If you own property in Estonia and change a place of residence in the population register, then it does not change your ownership. The population register holds only information about a place of residence and not information about individual´s ownership of real estate. This information can be found from the Estonian Land Register. 19. I am a retired Estonian citizen living permanently in the United States. Is my earned national pension transferred to my United States bank account? According to the State Pension Insurance Act § 4 (1), a permanent resident of Estonia or holder of temporary residence permit or foreign national with a temporary right of residence have the right to receive the state pension. Individual´s citizenship does not affect the distribution and payment of the pension for the time of the employment in Estonia, it is based on the total length of the period of insurance in Estonian territory and a place of residence while applying and receiving a pension. According to the State Pension Insurance Act § 4 clause 3, if an international agreement entered into force by the Republic of Estonia contains provisions which differ from the provisions of this Act for the grant or payment of pensions, the international agreement applies. At the moment, Estonia has concluded the social security agreements with Canada, member countries of European Union, Ukraine and Russia. If an individual obtains a citizenship of Canada, then nothing changes in a distribution of the pension. However, if the individual moves from Canada to United States then the payments of pension will be suspended, because Estonia does not have a binding social security agreement with United State. Please keep in mind that the amendments of the Estonian State Pension Insurance Act are in the process at the moment and it also includes negotiation with United States about the bilateral Social Security Agreement. We will inform you if the amendments to the act enter into force. If you gave birth, got married, divorced or changed your name in the United States, you need to provide the Consulate General with this information. An Apostilled original document (e.g. birth certificate) should be sent to the Consulate General (3 Dag Hammarskjöld Plaza, Suite 6B, 305 East 47th St, New York, NY 10017-2001) together with a copy of your Estonian citizen´s passport or ID-card (and a copy of your spouse’s passport in case of marriage). The original document will be returned to you within a couple of weeks after your data in the Estonian population register has been updated. Learn more about the requirements for the issuance of Apostille here. You can do it on the website eesti.ee by using e-services of the population register and it is accessible with an Estonian ID-card or through the identification services of Estonian banks. With an Estonian ID-card, a person can access state and private sector e-services and digitally sign documents. The ID-card is mandatory for foreigners staying permanently in Estonia. The Consulate General issues the English version of the required certificate (birth, marriage, divorce or the change of name). Click here for further information. Unfortunately, you cannot do it at the Consulate General. However, you are able to receive your driving license from foreign representation. Read more about it from the Estonian Road Administration website. 24. What should I do if my Estonian driving license is lost or stolen? Attention: when the license is already invalid, you won´t be able to reclaim it! The principle of residence applies while issuing a driving license. In case your driving license expires, is lost or damaged, the Estonian Road Administration is not able to issue a new Estonian driving license to citizens living in a foreign country. 25. I need a certificate in English as a proof of having a driver’s licence in Estonia. The Estonian Road Administration issues certificates only in Estonian. Do I receive help from the Consulate General? Yes, you do! If your Estonian driving license is lost, stolen or expired, the Consulate General can provide you with a certificate confirming your entitlement to drive. Estonian citizens who have registered their place of residency in the United States can apply for a certificate from the Consulate General by post. In order to do so, please send us a written request for the certificate, a copy of your Estonian citizen´s passport or ID-card and the state fee. 26. My employer asks to provide a police clearance certificate of good conduct. How can I get it? The certificate is in Estonian language and in case you order it to yourself it will be issued for free. You can apply for a consul’s statement (certificate for circumstances known to the consul) in English from the Consulate General by post. In order to do so, please send us your original certificate of good conduct (in Estonian), copy of your passport or ID-card and the state fee. 27. I need to provide the authenticity of the signature on the contract of issuing Estonian Bank debit card. Can I do it at the Consulate? Yes, consular officer can make certified true copies of documents, authenticate a copy or a printout, an extract, a signature or a signature of a translator. For approval of the notarial act you need to come to the Consulate General in person. Please register in advance online. No. At the Consulate General you must pay in local currency – in United States dollars.